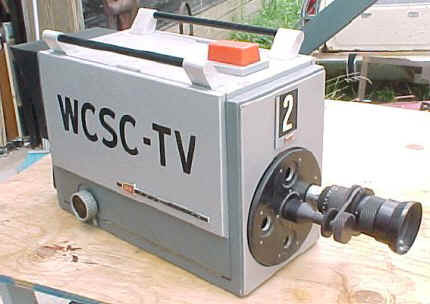 DO-IT-YOURSELF TV TAPE may be in the home sooner than you think, thanks to Westinghouse and a new slow-scan vidicon camera tube, Type 7290. With this tube, the TV camera produces one picture every eight seconds which can be stored on an ordinary hi-fi tape recorder. It is expected to open up applications for televised pictures in education, commerce and journalism at reasonably low cost. The major advantage of the system is its ability to use telephone lines and mobile two-way radios to transmit pictures. Future home applications may make the candid camera a thing of the past. in to make a separate section, we shall do so. CONCORD COMMUNICATIONS SYSTEM Model TCM-55 Video Camera. Sylvania 600 TV television camera, with one lens, and Sylvania carrying case. Lens is a Cosmicar Television Lens 8.5mm, The Sylvania 600 is in excellent physical condition, is not solid state but has tubes in circuitry, is clean inside, working condition unknown, but is complete, no tubes or other components missing. We will look forward to testing this soon! Looking for manuals and old ads that will help date this Sylvania 600 TV television camera. Peek inside the Sylvania Model 600 Television Camera! Vidicon tube with the rest solid state. Can anyone shed some light on where this camera was used? NASA Property Book 17 is probably early... Tell us more PLEASE! What's peculiar to this format was it's use of 1/4" tape. Even standard audio tape could be used, although without question, better image quality was obtained using Akai's recommended video tape. The head configuration consisted of 2 heads in an Omega wrap. Tape speed was 11.25 ips which yielded a 20 minute recording time on 5 inch reels. The machines were monochrome and were capable of only monophonic audio. There was a later machine that recorded and played back in color also using 1/4 inch tape. A special version of this color machine actually had a time base generator or ability to connect to one according to rumor. 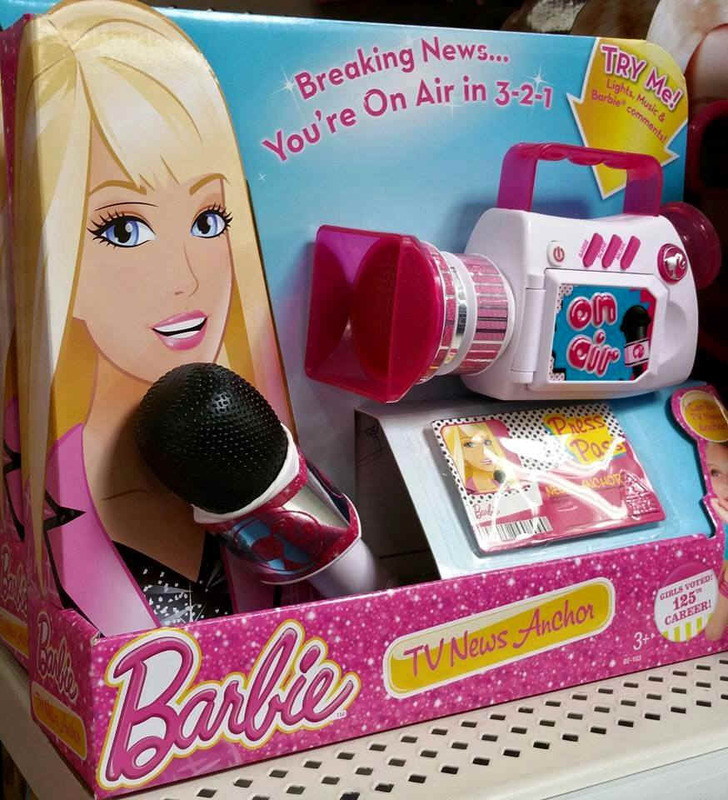 This would account for it to be used as a field recorder for a local TV station. Not a great picture, but at the time a picture that could be recorded at a very low cost in comparison to the high priced ENG equipment. Their strong selling point was their amazing compactness and light weight, though studio machines were also available. Image quality was just fair and no match for 1", but neither was their price nor their weight - making them truly portable. Any format is sought EIAJ, quadruplex, EIAJ-1, EIAJ-2, , skip field, skip field video, non standard video, reel to reel video, vx format, ampex avr, pilot tone, M-II, MII, M format, 3/4-U skip-field, one-inch, two inch quad and helical scan units. Some of the model numbers are: reel to reel, Umatic, AV3600, AV3650, AV3400, AV8600, AV8650, AV8400, NV3020, NV3085, WV3020, WV3085, VTC150, VTC300, VT700. color large studio television cameras wanted! An interesting group is some of the equipment from the Sony Video Equipment A V Series 1/2 inch Tape Videorecorder and Accessories Catalog Vintage 1971. Yep! 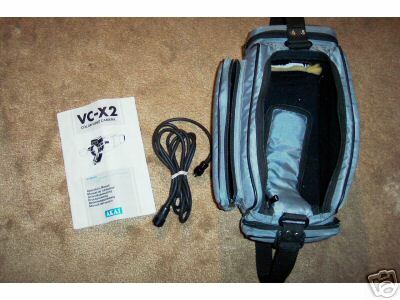 it's big and heavy, it uses a 1" vidicon tube and the CCU (Camera Control Unit) and a Canon Lens in very good condition. The lens is really an entire cable drive system to operate this camera effectively. The lens itself is a Canon TV Zoom lens V6 x 16 16.5mm - 95mm 1:2 No. 22822.
Who was WCSC-ETV? Anyone out there worked for them? The new GPL 5000 changes the whole complexion of color TV.. Yesterday you would have had to lay out in the neighborhood of $60,000 to get a television camera that renders flesh tones-all colors-with true-to-life accuracy. The new Singer GPL 5000 gives you the studio quality color of broadcast cameras at less than one-third the usual broadcast camera price. (A unique GPL sensor/optical system is only one of the reasons for its colorimetric excellence.) You don't need a ton of lighting equipment to use the GPL 5000. Being extremely sensitive, it serves up studio quality pictures with illumination levels as low as 80 foot-candles. There's never any color drift either. The automatic NTSC single line color bar (SLCB) test signal assures accurate color throughout the entire transmission network. And the GPL 5000 is the first camera in its class to provide the flexibility of one and two-piece (remote) operation. Full details on the Singer GPL 5000 are yours for the asking. This could be the way to ban off-color pictures once and for all. video Equipment. Please call us or drop a line! In Boston, there were several of the B&W version of this Singer-GPL camera. What was intriguing was that the viewfinder was a bare-bones Conrac II B&W monitor rigged up inside a special frame and holder. Made a decent picture for a B&W vidicon, and surprisingly, used standard TV-33 B&W camera cable to link between the camera head and the small rack-mount CCU/power supply. This Model 5000 was probably all vidicon, and used dichroic mirrors, rather than a prism for light splitting. Shibaden-Hitachi also introduced their version of a similar camera called the FP-1000, and a series that followed. God help us, but we worked with them and thought they were pretty good…. But compared today with the least expensive DV Camcorder, they were atrocious. That’s progress for you…. 7000P color Television Camera as shown. This is an older unit and is probably a tube-type camera. manuals and your personal experiences of using or building one! Link above to PDF of Catalog sheets and Articles! Click it! connectors to output the video and audio. and no more famous 10 pin connector, and then came the Asian competition. I could no longer compete with their lower pricing. more and will send it when I find it in my junk pile. - Instructions for each component plus a sales brochure. The CVC (Compact Video Cassette) format was introduced by Funai in 1984. The small cassette size enabled a compact portable deck design. The format however was limited to a 30 minute recording time and used V30 CVC cassettes which was adequate for field recording but somewhat limited for situations not requiring portability. The cassettes used 1/4" tape, which was more prone to dropouts than wider tape formats. Although it was 1/2 inch tape, the picture quality was comparable to early VHS machines! Though various CVC machines were manufactured by Funai, most models were also re-branded and sold under the Technicolor label. These units also made an appearance with the MUNTZ Label on them and it is rumored that 'Mad Man Muntz' bought up large quantity of these units when they were discontinued. Thee was even a version of the recorder with a small screen television also buit into the same unit! The tape cassettes for the day were refreshingly small! They measured about 4" x 2.5" x .5" high - or a size similar to the standard day compact (although now getting obsolete) audio cassette. Airborne Westel Model WR201-BH-AGN. This unit was aledged to have been used in military aircraft. I don't really know what it is for. It takes 1inch. tape. and says it is an airborne video tape recorder with equalizing pulse. It has several connectors - bnc, and multi-pin connectors. E-mail is at info@smecc.org if you have any data or stories about one of these! One of the most popular of the coaxial connectors, the BNC was developed in the late 1940's. The name BNC stands for Bayonet-Neill-Concelman. Bayonet describes the interface coupling mechanism, while Neill and Concelman were the inventors of the N and C connectors. The BNC is essentially a miniature version of the C connector which is a Bayonet version of the N connector. Read this, and the next time someone tells you that, of course, Betamax was superior to VHS, you can tell them that they are wrong. It's an urban myth. This is not news: the information has always been available to anyone who could be bothered to look. However, it seems to me that the survival of this and many similar notions is not just a matter of techno-arrogance: it shows a failure to understand how technology markets work. Soon after I joined the Guardian in 1985, to launch Computer Guardian, another journalist showed me an article he had written about the IBM PC. I went through the introductory paragraphs step by step and explained that, as a matter of fact, every single point was wrong. "Oh well," he said, "that doesn't matter. That's what everybody thinks". That and similar experiences as an ordinary reader led me, eventually, to two conclusions. The first is that a lot of comment is based on a sort of received wisdom, a common currency, that appears to be picked up from the atmosphere. It certainly isn't based on reality. The second is that almost no journalists, and no geeks, have ever come across the concept of "the whole product", though it is well known to marketing people. Real people may not be aware of it, but the "whole product" model is an accurate description of the way they buy things. You are buying the ability to stick a cassette in the post to your relatives in Australia with 100% certainty that they will be able to play it - and what's more, you won't care about never getting that tape back. Similarly, when someone buys a Wintel PC, they are buying the ability to choose from dozens of models from hundreds of hardware suppliers, or have one built to order, or build one themselves. They are buying the ability to access hundreds of peripherals, hundreds of thousands of applications, and millions of websites that work best with their system. They are buying the choice of hundreds of magazines, thousands of books, and all the supporting services from educational courses to repair shops. They are also buying the confidence that their system will keep progressing even if individual manufacturers fail. In marketing terms, "the core product" - such as a car, a computer, or a video recorder - is just the start. You have to add on all the things like reliability, service and support (the expected product), its expansion capabilities (the augmented product), and its potential for future development (the potential product) to get "the whole product". Since real people make real buying decisions based on "the whole product" (and if they didn't, we'd change the model), simpleminded comparisons of products by technological feature are very likely to get it wrong. I've been operating with the concept of "the whole product" for about a decade. It's much older than that, of course, but I first discovered it in Geoffrey Moore's book, Crossing the Chasm: Marketing and Selling High-Tech Products to Mainstream Customers, published in 1991. That and Moore's follow up - Inside the Tornado: Marketing Strategies from Silicon Valley's Cutting Edge - are the two most important books ever written about hi-tech marketing. In the Valley, in the 90s, they were used as bibles. It had a strong effect on me. When you get a new tool, you want to apply it, and I applied it. I'd spent half a decade deriding Microsoft Windows - as a user, I'd preferred Digital Research's Gem, and I was a keen supporter of open systems Unix - but it didn't take me long to work out that Windows had won. "The whole product" model also provided a convincing explanation of why VHS had thrashed Betamax. VHS offered a bigger choice of hardware at lower cost, the tapes were cheaper and more easily available, there were a lot more movies to rent, and so on. All of this matched my own experience. I remember perambulating Hammersmith (doing the Maplin run) and finding VHS recorders more readily available to rent, while the video shop had three walls of VHS movies and only one for Betamax. Indeed, the main thing that didn't fit was the idea was that Betamax was "technically superior". 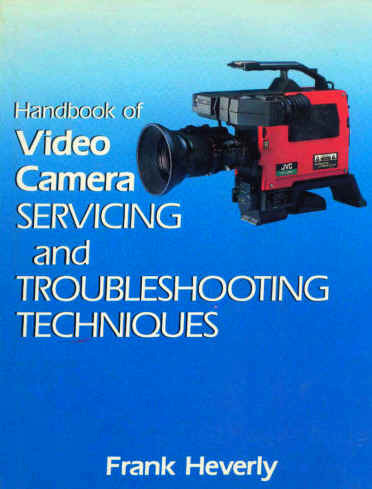 Standing in a shop at the time, there was absolutely no visible difference in picture quality, and some reviews had found that VHS's quality was superior. I "knew" Betamax was superior -- that was the received wisdom, even at the time - and maybe it was, in a lab. But I wasn't buying a lab test rig. In terms of "the whole product", VHS was clearly superior, so that's the way I went. Along with everybody else. Later I found out that Betamax had owned the market, but lost it because Sony got one simple decision wrong. It chose to make smaller, neater tapes that lasted for an hour, whereas the VHS manufacturers used basically the same technology with a bulkier tape that lasted two hours. Instead of poring over the sound and picture quality, reviewers could simply have taken the systems home. Their spouses/children/grandparents and everybody else would quickly have told them the truth. "We're going out tonight and I want to record a movie. That Betamax tape is useless: it isn't long enough. Get rid of it." Betamax was the first successful consumer video format, and at one time it had close to 100% of the market. All of the video machines in use and all of the pre-recorded movies were Betamax. It had a de facto monopoly, and an element of lock-in (because of tape incompatibilities). It lost because, at the time, it could not do what consumers wanted: record a whole movie unattended. And although Betamax playing times were extended, they never caught up with VHS. Other elements of the oft-repeated Betamax story are also wrong. 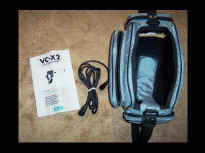 For example, while Sony was certainly slow to bring in other manufacturers, it had tried to license it to rivals such as JVC before VHS was even launched. Betamax was not generally more expensive: Sony had to slash its original high prices but generally it was competitive. Indeed, after it had lost the market, Betamax machines were often cheaper than VHS ones. Even if Betamax had been "technically superior", it wouldn't have mattered. VHS users have long had the chance to upgrade to the compatible SuperVHS format with superior picture quality. But rather than demanding better pictures for today's TV sets, consumers have shown more interest in LP (Long Play) modes that reduce the picture quality to provide longer recording times. VHS won because "the whole product" did what people wanted at a price they were willing to pay. And when people use the VHS v Beta analogy, they are not indicating a market failure but their own ignorance. Sony pioneered the videocassette recorder innovations that opened the VCR market for heavy competition and continuing innovations in the field of video. The VCR was a novel technology that involved risk taking from companies developing it. Not only was it unclear whether the public would accept the VCR, but failures in the development process were common. VCR development is a prime example of Schumpeterian thought. There was no clear public demand for home videocassette recorders but Sony took the supply-side initiative and risk and pushed the innovation. This indicates the ability of large firms to innovate well and the benefits of institutionalized research and development. The new innovations led to the emergence of the VCR industry and, therefore, many subsequent industries reliant on the VCR. Unfortunately for Sony, however, it resulted in being a victim, to a certain degree, of creative destruction. After Sony invented its Betamax VCR, the market opened up for VCR inventions and innovations by other firms. These firms chose to implement the VHS tape, which was non-compatible with Beta players, and the new technology destroyed the Betamax market. READ THE ENTIRE PDF FILE! - It is great! CLICK! High-flying NewTek, whose Toaster revolutionized video production, is screaming to the next level. 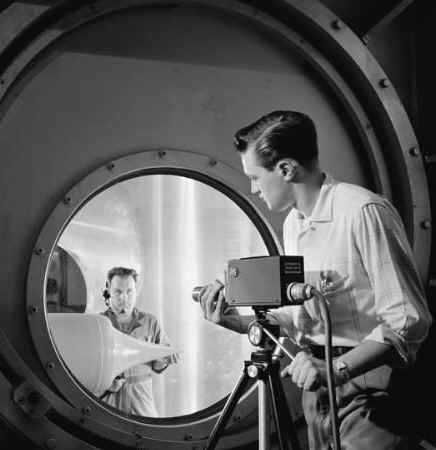 A television camera is focused by NACA technician on a ramjet engine model through the schlieren optical windows of the 10 x 10 Foot Supersonic Wind Tunnel's test section. Closed-circuit television enables aeronautical research scientists to view the ramjet, used for propelling missiles, while the wind tunnel is operating at speeds from 1500 to 2500 mph. (8.570) The tests were performed at the Lewis Flight Propulsion Laboratory, now John H. Glenn Research Center. To provide time-lapse of weather radar imagery on videotape. exported to a London, England commercial TV firm. modification to British broadcast standards. be the fourth country outside the U. S.
other toilers in the vineyard of TV.